Targeted support being provided to countries to help implement CITES sharks and ray listings. Geneva/San Jose, 16 February 2015 - The results of a pilot project to improve traceability of CITES-listed shark products in Costa Rica for international trade was presented today at a side event during the Second Meeting of Signatories (MOS2) to the Memorandum of Understanding on the Conservation of Migratory Sharks (Sharks MoU) taking place in San José, Costa Rica, from 15 - 19 February. 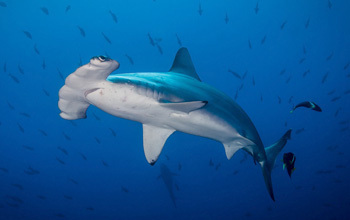 Costa Rica was one of the co-proponents of the successful proposal to include Hammerhead sharks (Sphyrna lewini, S. mokarran and S. zygaena) in CITES Appendix II at the 16th meeting of the Conference of the Parties held in Bangkok in March 2013 (CoP16 ). 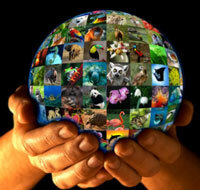 “CITES Parties recognised that there would be some challenges in implementing the new CITES sharks and rays listings. With the support of the EU, and our key partner FAO, we have offered targeted support to countries to meet these challenges and, as is evident from our work with Costa Rican authorities, great progress is being made. This is good news both for sharks and responsible fisher folk” said John E. Scanlon, Secretary-General of CITES. The pilot project, funded with the generous support of the German government, is a part of the CITES Secretariat's ongoing technical cooperation with the CITES authorities of Costa Rica. The traceability pilot project, implemented in close collaboration with INCOPESCA, included online consultation with the relevant Costa Rican authorities, a physical visit of facilities along the trade chain and a multi-stakeholder workshop, which took place on 12 February in Puntarenas, Costa Rica. Following initial implementation challenges, which had been acknowledged by Costa Rica, the pilot project found that Costa Rica now has in place a robust traceability system for its large and medium-scale fishing fleets, fulfilling most expert recommendations such as those outlined in the two traceability studies commissioned by the Secretariat under the EU-CITES project for the 66th CITES Standing Committee (Geneva January 2016). The two studies respectively reviewed CITES traceability schemes that have been developed for the trade in processed product types of Appendix-II species (SC66 Inf. 12) and the market chain and traceability systems that are in place for other commercially exploited aquatic species (SC66 Inf. 11). One of the recommendations of the project is that while no traceability system is in place for the small-scale artisanal fishing fleet, there appears to be sufficient information for a study on the impact of the artisanal fishing fleet on CITES-listed shark species in Costa Rica, and thus an ability to assess the necessity to develop a traceability system for that fleet. Several other opportunities were identified to further improve the current practices, making the existing paper-based system more efficient, to reduce redundancies and increase transparency. Recommendations include the implementation of a Vessel Monitoring System for the longline fishing fleet, development of an online information system for various stakeholders and the improvement of domestic coordination and communication through a traceability roundtable. During MOS-2, over the course of next week, experts from more than 30 governments, the EU, UN agencies IGOs, NGOs and academia are discussing how to best achieve the objective of the MoU, "to achieve and maintain a favourable conservation status for migratory sharks based on the best available scientific information, taking into account the socio-economic and other values of these species for the people of the Signatories". The CITES Secretariat is an active participant in the meeting. “We are most grateful to Costa Rica for hosting this week’s meeting and for its on-going support for CITES sharks listings. We will continue to work with national authorities in Costa Rica to support implementation and we would like to acknowledge the commitment of Costa Rica to the conservation and sustainable use of these marine resources” added Scanlon. See also the case study report: Catch documentation and traceablity of shark products in Costa Rica .